Liquid Repellent helps guard against wear and corrosion. Basecoat System increases Collision Repair Center productivity. Suitable for application via spraying, ONYX™ HD Low VOC Productive System produces low-VOC basecoats that are either waterborne or solvent-borne. 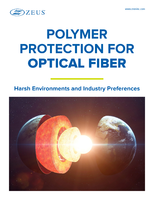 This system meets all VOC regulations across North America, exhibits favorable de-nibbing properties, and dries quickly under common humidity and temperature conditions. 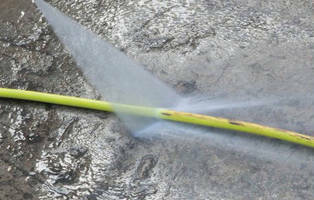 Cable Jacket Coating facilitates contamination removal. Epoxy Adhesive/Sealant/Coating cures over 170-175°F range. 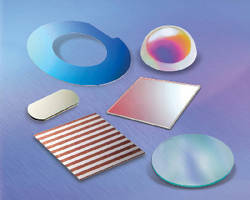 Thin Film Coatings span variety of wavelengths. Floor Coating eliminates service disruptions. Masking Stencil targets automotive refinishing applications. Engineered from 304 stainless steel, SHIM-MASK serves as masking stencil to prevent rub-through during sanding or shaving of minor surface imperfections. Four chemically etched shapes with smooth edges are available to choose from. Product is suited for paint and lacquer runs as well as minimizing area when sanding paint-filled chips or scratches. 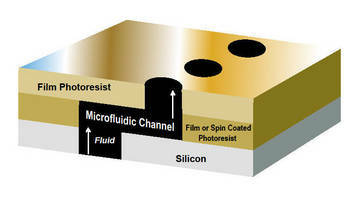 Negative I-Line Photoresist has hydrophobic cured chemistry.